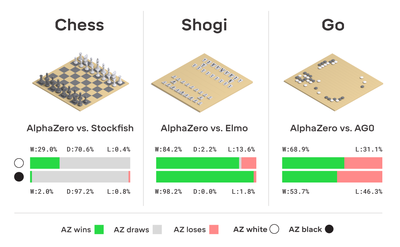 In chess, AlphaZero first outperformed Stockfish after just 4 hours; in shogi, AlphaZero first outperformed Elmo after 2 hours; and in Go, AlphaZero first outperformed the version of AlphaGo that beat the legendary player Lee Sedol in 2016 after 30 hours. Note: each training step represents 4,096 board positions. 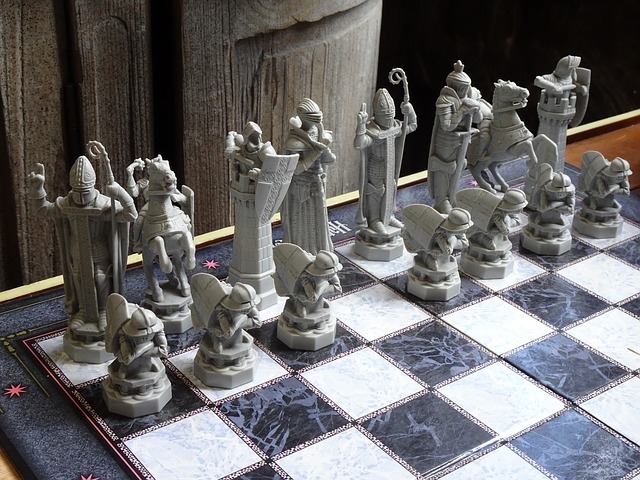 The first thing that players will notice is AlphaZero’s style, says Matthew Sadler – “the way its pieces swarm around the opponent’s king with purpose and power”. 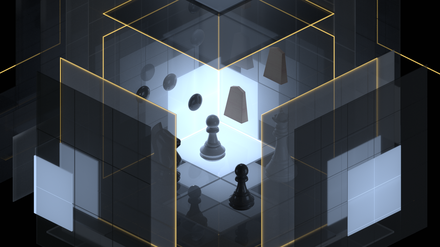 Underpinning that, he says, is AlphaZero’s highly dynamic game play that maximises the activity and mobility of its own pieces while minimising the activity and mobility of its opponent’s pieces. 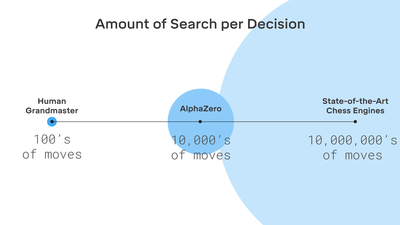 Counterintuitively, AlphaZero also seems to place less value on “material”, an idea that underpins the modern game where each piece has a value and if one player has a greater value of pieces on the board than the other, then they have a material advantage. Instead, AlphaZero is willing to sacrifice material early in a game for gains that will only be recouped in the long-term. This work was done by David Silver, Thomas Hubert, Julian Schrittwieser, Ioannis Antonoglou, Matthew Lai, Arthur Guez, Marc Lanctot, Laurent Sifre, Dharshan Kumaran, Thore Graepel, Timothy Lillicrap, Karen Simonyan, and Demis Hassabis.